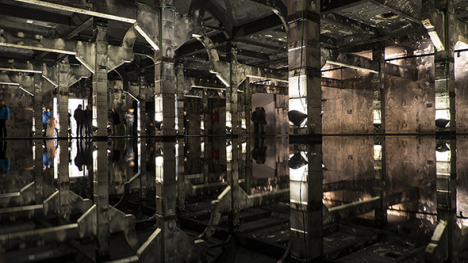 To gain entrance to this darkened slaughterhouse chamber filled with seemingly infinite reflections, you’ll have to dial a phone number that produces a ripple on the surface of the water covering the building’s floor. 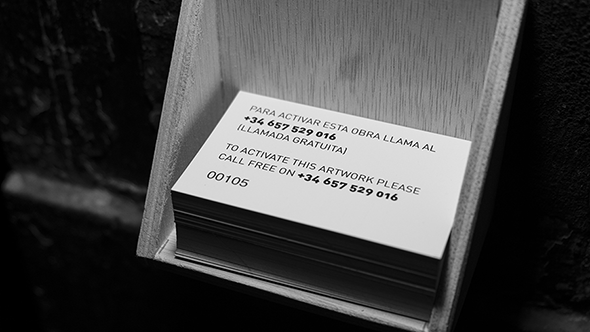 Outside the otherworldly scene you’ll find a stack of business cards with instructions in two languages “to activate this artwork.” Your presence, the artist insinuates, is an interruption. 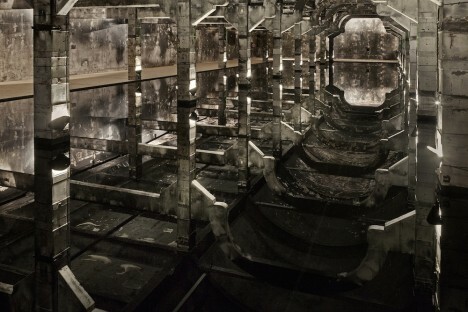 Even the title of the work, ‘Every Word is Like an Unnecessary Stain on Silence and Nothingness,‘ makes a statement on the potential sacredness of forgotten spaces, no matter what their origins may be. 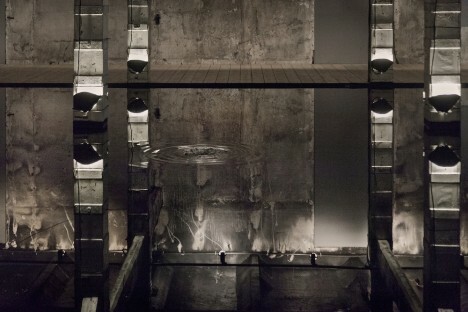 In this case, the charred room in which you’ll find yourself is the former cooling chamber of a slaughterhouse in Madrid. 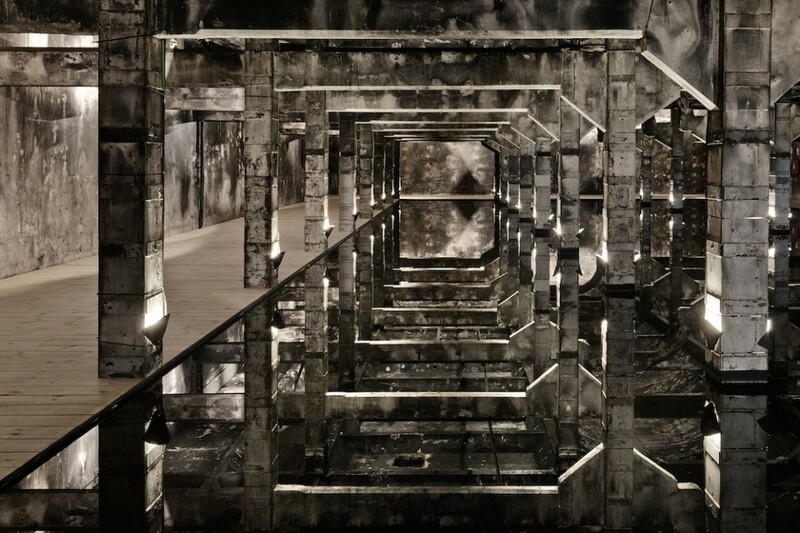 Artist Eugenio Ampudia needs very little in the way of augmentation to create the atmosphere within this disused space. The water makes it seem to go on and on, and carries echoes so far that every little squeak of a shoe or muffled cough is amplified.